1. Does this game have a background story (like the Phoenix Wright/Apollo Justice series or Professor Layton and the Curious Village) associated to the puzzles or is it just puzzle solving? 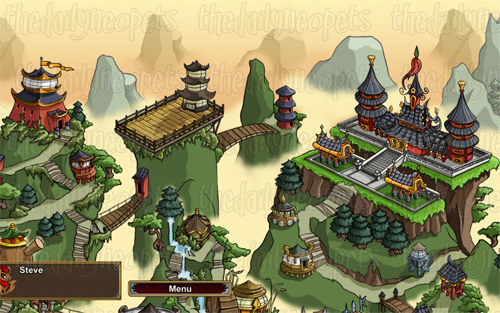 Neopets Puzzle Adventure has a deep and intriguing story set in the world of Neopia. 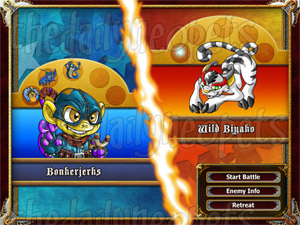 The story was co-designed between the Neopets team and the Infinite Interactive design team. I think it's one of the best stories I've worked on in a game. 2. What is the goal of the game? The goal in Neopets Puzzle Adventure is to save Neopia from a terrible threat that has just appeared. You do this by going on an adventure where you need to defeat many enemies and collect many treasures. You fight these enemies by playing a puzzle game against them. You can also gain all kinds of advantages and prizes by completing a whole host of mini games. 3. Are there any fun and exciting twists in this game that aren't frequently seen in others? The unique way that you fight enemies by playing a puzzle game is really the focus of this adventure. It's very satisfying to outsmart your opponents rather than just hitting them on the head with an Apple Jelly Sword. 4. What is the difficulty level of this game like?? 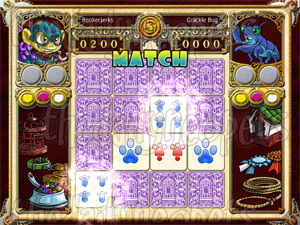 Neopets Puzzle Adventure has an excellent tutorial that introduces you to all aspects of the game. Enemies get more difficult as the game progresses, but you get more powerful items and stronger Petpets to fight them with, so it's a challenge, but never too hard. 5. How long has the Neopets puzzle game been in development? How long does it normally take to develop a full featured game? Neopets Puzzle Adventure has been in development for the last 12 months, though we did have quite a few months before that to discuss exactly what type of game we wanted it to be. 6. How many developers have worked on the Neopets puzzle game? At its peak, Neopets Puzzle Adventure probably had about 30-35 people working on it. Once most of the art was complete, the team size reduced to 15-18 people. 7. Did any sacrifices have to be made while creating the game? No game ever turns out exactly how you envision it when you start. But I'm very confident that for what we sacrificed, we added something that was even better. 8. During development, is there a deadline that needs to be met? If so, do the developers rush the game to meet it? We certainly do have deadlines and we take them very seriously, but our motto is always to treat the gameplay as the most important thing of all. 9. Were there any inspirations as to why this game was created?? We wanted to take the addictive gameplay of Puzzle Quest, switch around the puzzle game, add lots of mini games and set it amidst a fantastic Neopian adventure. 10. What makes your game unique compared to other puzzle games? Neopets Puzzle Adventure allows you to create and advance a character through a story, just like in a role playing adventure game. You don't see that kind of depth in very many puzzle games. 11. Will this game have any kind of multiplayer features? If so, does it make use of the Nintendo Wi-Fi Connection service? Yes!? You can multiplayer. On Wii, you can play against a friend in a local game with one or two Wii Remotes. For the other platforms, multiplayer is via WiFi for the DS, and online for the PC. 12. What is the target age for your product? 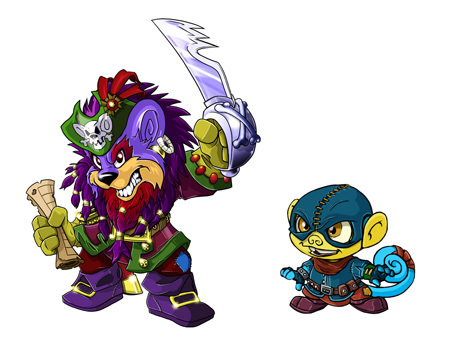 So many different age groups play Neopets that we wanted to make a game for all of them!? Actually, I think anybody from 5 to 95 could enjoy the simple addictive gameplay in Neopets Puzzle Adventure. 13. Will this game release worldwide?? It may not be available in every country on the planet, but Neopets Puzzle Adventure should be available in most of the places you'd expect.